We’ve got four brand new completely original multiplayer maps called Discovery, Kowloon, Stadium and Berlin Wall… The fifth map which is a Zombies map called Ascension and I can’t go into too many details about the Zombie map at this time – they are still classified but I can talk a little bit about the multiplayer maps. So for our multiplayer design team this is one of those great opportunities where we’ve felt like we learned a lot of lessons in the development and designs of the maps that shipped with the game and for DLC we really wanted to go bigger with some of the things we learned that people really liked. 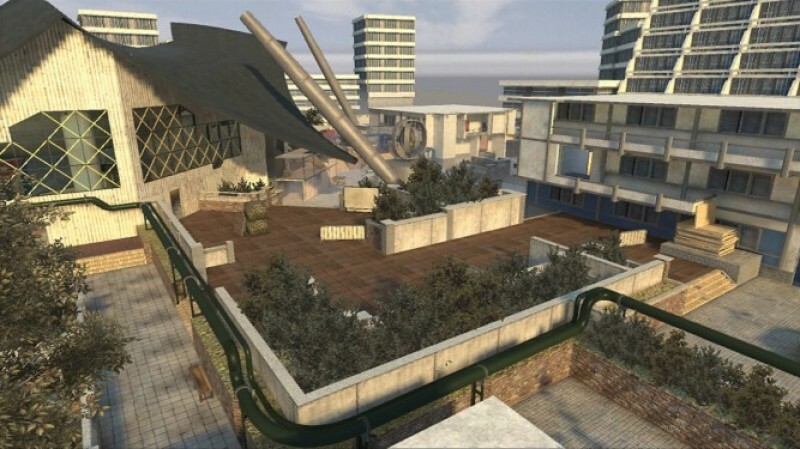 So this map pack we focused a lot more on providing a variety of weaponry, a variety of engagement types, a variety of verticality – a lot more verticality – bringing some sniper opportunities into it. 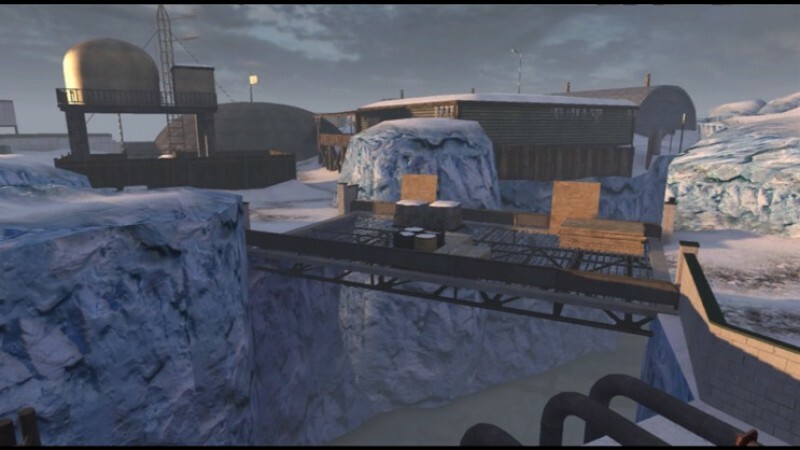 One of the popular things we added in several maps of the shipped game were the scripted moments – scripted elements and interactivity in the maps. So that’s something we’ve made sure we want to bring to every single one of the new maps. So there is a lot of cool stuff there. 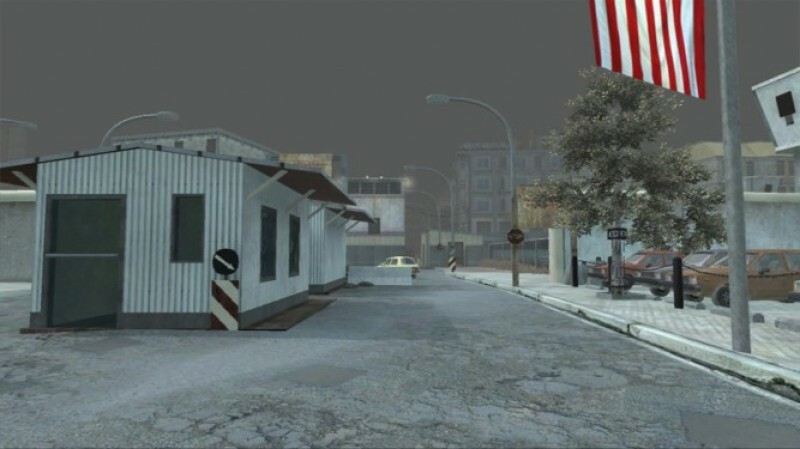 The 4 maps on the multiplayer side Berlin Wall is located in Berlin obviously at historical location “Checkpoint Charlie” – it’s a battle between east and west Berlin. Discovery is an Antarctic German research station that’s been abandon from World War II. Kowloon is inspired from the single player campaign which was based off of the Kowloon city in China and it is a rainy rooftop map. Stadium is an athletic complex hockey rink in the north eastern United States. That’s the highlight of the 4 new maps in multiplayer and people will have to stay tuned in the weeks to come to get a lot more details on them. The screenshots below from Call of Duty Wiki were from information discovered around game release and seem to have somewhat of a reference to the map names that were just mentioned coming in the First Strike DLC package. Obviously there is quite a bit of flac from the PC community and the PS3 community as well due to both of those platforms still suffering from quite a few issues with the game in general. Specifically on the PC side where dedicated servers are still crashing non-stop, config features released in the last patch don’t function properly regarding team switching and auto-balance, some still suffering from performance issues on the client side (although greatly reduced with the last patch) and then just that we would like to have some confirmation that the game is going to be balanced with overpowered weapons like the knife and AK74U, the ridiculously accurate Steady Aim perk that appears to make players aim better then aiming down sight and the overly annoying Huey Killstreak that highlights enemies on the ground for noob friendly shooting. Most of the PC community have never been big fans of DLC and with such a bad game release and the patching issues this game has had so far I have a feeling that this won’t be a big seller on this platform. Frankly I am ashamed that this is even being announced at this point with the amount of issues the game has that need to be fixed yet.